on Friday 27th September 2013. 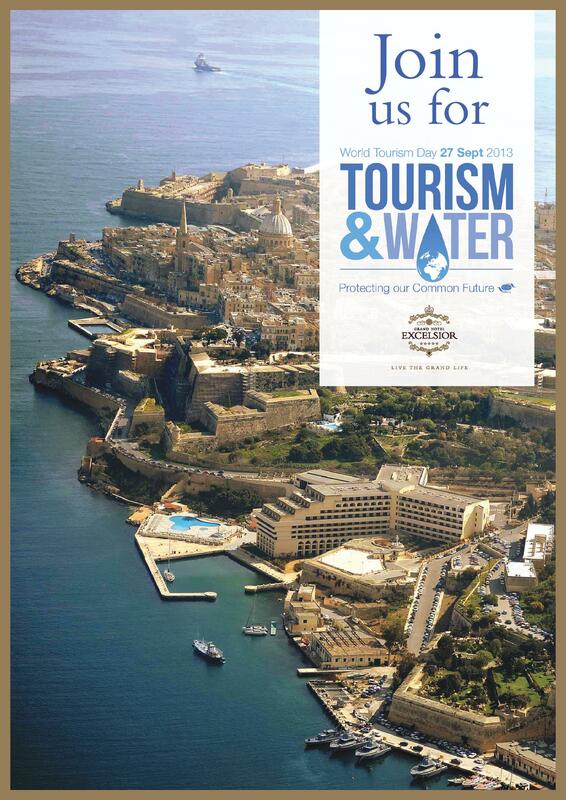 The theme around this year’s World Tourism Day is Tourism and Water – Protecting Our Common Future. 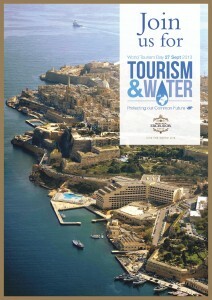 To celebrate this day the Grand Hotel Excelsior Malta’s Lobby will be busy with activities from 9.00hrs till 18.00hrs. Wander around the Arts & Crafts Exhibition where you will find displays of mosaic, ceramics, filigree, weaving, monsters’ creations and a small collection of Maltese paintings. The Ministry for Energy and the Conservation of Water will also be exhibiting informative and educational material related to this year’s theme. Activities in the Lobby are free of charge. Food is a Cultural Journey. In the evening celebrate the diversity of cultures by joining us for an Asian Buffet Dinner with a selection of Chinese, Thai and Indian Cuisine at one of our top restaurants in Malta. For more information kindly call the Grand Hotel Excelsior on 21250520 or email us on food.beverage@excelsior.com.mt. 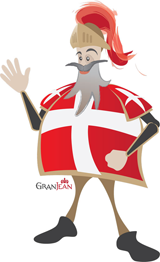 This entry was posted in About Malta, Malta Events, Malta Restaurants and tagged grand hotel excelsior malta, restaurants in Malta, world tourism day on September 19, 2013 by Denise Camilleri. Looking for a Luxury Break in Malta? Relax and enjoy a well deserved break. Make use of Our Facilities including the indoor and outdoor pools, our small private sandy beach, and our luxurious spa facilities. And if you would like to add some culture to your holiday, experience one of our great tours around the Maltese Islands. Stay with us during the months of OCTOBER & NOVEMBER and benefit from a Special Malta Accommodation Deal. Room rates start from €65 per person per night sharing a Double Deluxe Partial Sea View Room. This entry was posted in About Malta, Accommodation Malta, City Breaks Malta, Holidays in Malta, Special Deals Malta, Weekend Break Malta and tagged holidays, luxury breaks in malta, malta accommodation, malta break, maltese islands on September 12, 2013 by Denise Camilleri.